and this week we want to see something for your Mum! We in the UK, of course, have already had Mothers' Day, but that doesn't mean we can't make another little something for her, does it? And with a lovely prize of a choice of three of the images used by the Design Team, this week, for our randomly chosen winner, what's there to lose?...haaa! So......who is our sponsor this time............? As an added bonus, there are some very cute freebies to be found there, too! 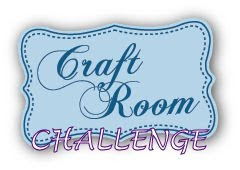 to see for yourself, and enter your very own creation! The lace is a small paper doily, folded into quarters and pinned with a home-made pin....I really must use more of my bead stash! And here's the sweet image....isn't she adorable? Of course, all inked with PMs....love those shoes....haaa! 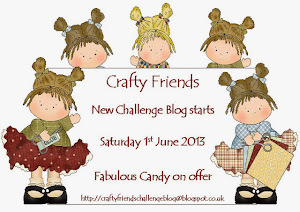 I really hope you will join in on the fun.........and don't forget to pop over to see what the rest of the Team have done! If that sentiment suits you Mother than I would have to say that "the apple didn't fall far from the tree". The image is hilarious. Great colouring as usual. Totally FAB card. If my Mum was still alive, this would have been perfect for her as she was a star shopper. You've put a lot of thought and detail into this little charmer; it makes me smile! 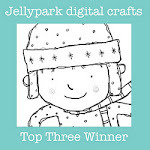 You used so many lovely elements - Fantastic creation! I'd be SO happy if you joined us at Tuesday Alchemy: http://tuesdayalchemy.blogspot.com this week! I love the idea of folding over a doily and using it in the corner like that - so inventive! so lovely - awesome layout! What a lovely card. :) Thanks for joining DC. Very pretty thanks for playing with us at rrr! Just look at all of the pretties on this card! Love the doily and the pin! Your scrap mountain must be about the same size as my scraps container... I can never tell after I made a card that I used any of it! 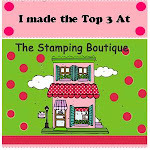 I Am a Top 3 Winner! I'm a Family Friendly Blogger!